With the Foundation established by HSH Prince Albert, Monaco is taking a lead against climate change. A landmark report by the UN Intergovernmental Panel on Climate Change (IPCC), released at the end of 2018, raised alarm around the world by warning of the consequences of not limiting global temperature increases. In response, the start of 2019 has been marked by global protest marches and student strikes demanding that world leaders take urgent action. Here on the Cote d’Azur, through the work of the Foundation established by HSH Prince Albert, Monaco is one country taking a lead. The Prince Albert II of Monaco Foundation has been dedicated to protecting the environment and promoting sustainable development globally since 2006. By creating partnerships, it carries out projects that aim to limit the effects of climate change. Its initiatives promote renewable energies, safeguard biodiversity, manage water resources and combat desertification. The Foundation also focuses on raising awareness of the impact human behaviour has on the natural world and encouraging everyone to adopt environmentally friendly behaviours. Outstanding and innovative solutions that contribute to the Foundation’s goals are promoted and supported through grants and awards. The Mediterranean is a natural area of focus for the Foundation, given the location of Monaco, the home of its founder Prince Albert. Foundation initiatives also target the polar regions, where indications of global warming are highly visible, and the least developed countries (as defined by the UN) where the effects of climate change can have the most severe impacts. To date, the Foundation has funded over 420 projects, awarding 51 million euros in grants. Their scope is wide-ranging: from fighting deforestation to developing marine protected areas; renewable energies and energy efficient technology to managing water supplies; studying the effects of climate change to conserving endangered species. One area of focus has been the fight against plastic pollution in the oceans, which is having a devastating effect on marine life. With partners Surfrider Foundation Europe, Tara Expeditions Foundation, the Mava Foundation and the International Union for Conservation of Nature (IUCN), the Foundation is part of the Beyond Plastic Med (BeMed) Task Force. BeMed’s goal is to tackle plastic pollution at its source, changing production and consumption habits to prevent plastics ending up in the ocean. They’ve been funding micro-initiatives in several countries around the Mediterranean aimed at educating and mobilising communities and taking direct action to keep plastics out of the sea. The Foundation also holds annual events like Monaco Ocean Week and the Monte-Carlo Gala for the Ocean to raise awareness and funds to support its work. For residents or those looking to buy property, Monaco has many well-known attractions. You’re unlikely though to see Environmental Action in any ‘Top ten reasons to live in Monaco’ list. But it’s clear that people are increasingly conscious of how their lifestyles impact the environment and it’s important to know that the place you choose to live is taking responsibility. 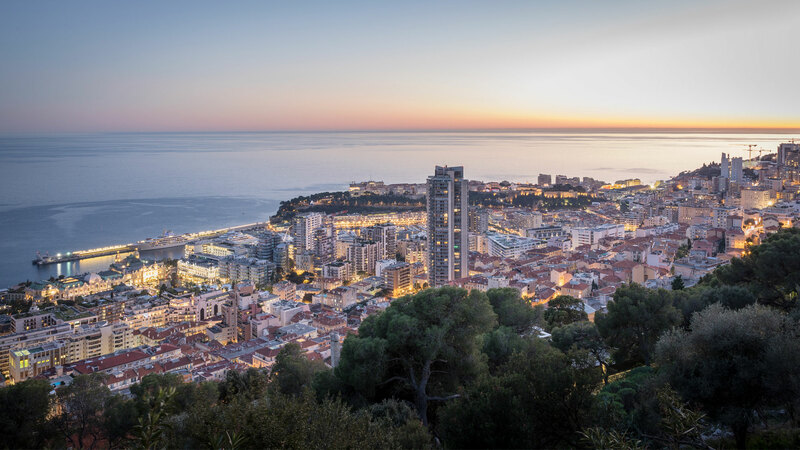 With the projects and initiatives supported by the Foundation, and the commitment and passion of its founder, Prince Albert, Monaco may well surprise many with the action it’s taking.